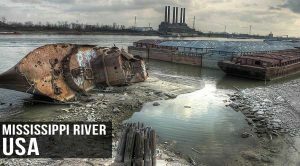 Top 10 Most Polluted Rivers in the World Ravaging our Oceans Today! One of our most precious gifts from nature, the Rivers, with its veins spread all across the planet, nurtures life wherever it flows. One of the most primary sources of food and fresh water, the rivers are indeed our source of life. It is no surprise that on the banks of our major rivers is where many of the advanced civilisations of mankind have flourished. Precious as they are, humans and their varied activities have still managed to nearly destroy them with alarming levels of pollution choking the rivers. The 10 most polluted rivers in the world are a testament to the adverse consequences of human carelessness. Rampant industrialisation poor government regulations, corporate insensitivity towards the environment, inefficient waste management and a lack of awareness among the masses have led to many of the rivers being polluted beyond acceptable levels. With millions of tons of waste being generated globally every year, landfills, waterways and finally the ocean gets bombarded by the massive amounts of trash that are dumped there. It is estimated that 90% of the plastic that ends up in the ocean come from just the 10 most polluted rivers in the world. Although many of the 10 most polluted rivers in the world are from Asia, pollution is a much more worldwide issue. Critical levels of pollution have affected rivers even in America, Europe and Africa. Another crucial thing to note is that most of the trash found in the rivers is plastic and primarily, Single-Use Plastic. This monstrous invention of man, although seemingly quite harmless, has been the undisputed leader of pollutants, unmatched in its scale of production as well as the duration for which it affects the environment. For those living in a bubble, here are some disturbing facts and figures about plastic: Globally, over 300 million tons of plastic is produced every year. That’s about 16 billion coffee cups, 45 billion plastic bottles, 4 trillion single-use plastic bags etc. produced each year. And every year, approximately 8-10 million tons of discarded plastic makes its way into the ocean. First, the trash, mostly plastic, gets shipped off to a landfill somewhere, which soon overflows. Some get incinerated and, even lesser still gets recycled. All the remaining plastic, including the ones that escape out of the overflowing landfills, makes its way or gets dumped into different waterways, such as the rivers. No wonder then that the 10 most polluted rivers in the world have turned into plastic rivers! Researchers have estimated that by 2050, there will be more plastic in the ocean, by weight, than fish. Already, one in four fishes has been found to have traces of plastic particles in their system. Of course, it is not merely the loss of beauty, that concerns us. The pieces of plastic trash floating around in the waters often proves to be fatal, for the animals who depend on the river for their survival. Some of the animals and sea-birds get entangled and even choke to death by bigger pieces of plastic floating around. Plastic does not decompose; rather, it keeps breaking down into smaller and smaller particles till they’re microscopic. The smaller pieces of plastic are often gulped down by many of the marine animals who mistake it for food. Since, plastic as it breaks down, releases toxic chemicals, the animals that ingested it, often get sick if not choked by the plastic. The plastic and its toxins thus travel up the food chain, and not so surprisingly on to our dinner tables, through the seafood we splurged on! Since research shows that, just the 10 most polluted rivers in the world is responsible for most of the plastic trash in the ocean, let us dive right in, and see clearly the massive scale at which plastic is choking our very source of life. The ninth longest river in the world, one that flows through almost the entire US, The Mississippi River, is also dirty enough to be one of the 10 most polluted rivers in the world. A river which even the scientists refer to as one of the most polluted ecosystems on the planet is definitely the most polluted one in the country. The scary part is that it is not an exaggeration. 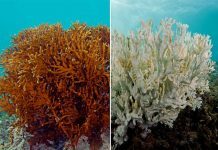 The massive dead zone in the Gulf Of Mexico is one clear example of it. More than 12.7 million pounds of poisonous chemicals such as PCB, mercury, fertilizers, sediments etc. have been dumped into the Mississippi River in just one year. The toxin levels in the water make it dangerous not just to the marine animals but also to humans who consume it. For a country that is mainly dependent on a single river for its sustenance, they sure have made a colossal mess of it. The Buriganga River has not only been the primary source of water for the people of Bangladesh but has also paved the way for trade since the 17th century. Now, sadly, it has become a dumping ground for all kinds of pollutants including industrial and domestic waste, sewage waste, medical waste, dead animals, plastic and on and on. About 80% of the sewage dumped into the river is untreated. Shockingly, just the capital city of Dhaka tosses in 4,500 tons of solid waste into the Buriganga every day! No wonder the government of Bangladesh has not been able to save the Buriganga, also known as the ‘Old Ganges’. 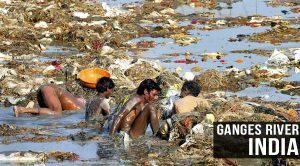 Not far from the Buriganga, even on the list of the 10 most polluted rivers in the world, is the holiest river in India, the Ganges. Revered as “Ganga Mata”, also known as the most polluted river in India the river as a divine mother helps sustain the life of almost half a billion people and has played a vital role in nurturing its most valued civilisations throughout history. Ganga, the third largest river in the world, is considered to be so pure, that bathing in it will even wash away all your sins. 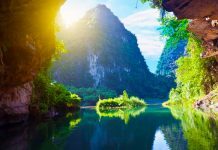 The present reality, however, is bound to shatter any spiritual trip you plan on taking to this holy river. Bathing in it will only wash away any good health you have. The pollutants crowding this mighty river varies from industrial, chemical and sewage waste to soap from washing clothes and bathing, religious offerings, even dead bodies! Over 1.2 billion pounds of plastic is unashamedly discarded into it every year. As per the Indian Council Of Medical Research(ICMR), people dwelling on the banks of the holy river Ganga are more at risk to cancer than anywhere else in the country. In the land of believers, one wonders whether its citizens can spot such signs of karma turning back around to come to bite them for disrespecting Mother Ganga. When Mother Ganga could not escape the consequences of careless human activities, Mother Africa is not immune to it either. Among others, the one that stands out is the main river of Africa, The Niger River in Nigeria. 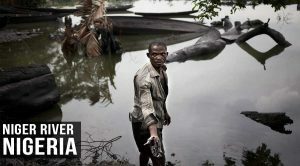 Over 100 million people depend on it, in the densely populated Niger River Delta. However, large petroleum operations since the 1950s, have polluted the river to critical levels, with oil and hydrocarbons. From just 1976 to 2001, there have been close to 7,000 oil spilling incidents, wherein most of the oil was not recovered! Every year, on average, system failures, natural calamities and other causes lead to the spilling of 240,000 barrels of crude oil into the Niger River Delta. Heavily saturated by pollutants, the Niger River then departs Nigeria, travelling through five other countries before delivering all the pollution into the Atlantic Ocean. Moving on to Europe, the infamous Sarno River in Italy is probably the continent’s most polluted river. This river that flows into Italy is although clean at the source and safe for consumption. 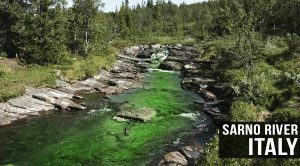 However, on the way to Italy, it gathers enough pollutants from factories and agricultural activities to make it to the list of 10 most polluted rivers in the world. The increasing toxin levels of the river has hiked up the number of liver cancer cases in the area. Furthermore, the Sarno River frequently floods, which spills the pollutants over the surrounding land, leading to a form of land pollution called soil degradation. 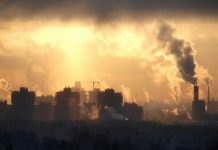 One type of pollution often adds to another kind of pollution. If that has piqued your curiosity, here are Top 10 causes of land pollution. Millions of Philippine people who depend on the Marilao River for drinking and farming activities are now at serious health risk due to the high level of pollution in the waters. Most of the pollutants entering the river are waste generated from tanneries, gold refineries and household waste. 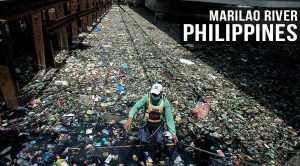 Dumping of inorganic materials such as single-use plastic bags, bottles is rampant in the Marilao River, and even the lead level in the water is so high that it is killing off the fishes! Similar to the Sarno River in Italy, the Marilao River too tends to flood, leading to water pollution spreading over the nearby land. 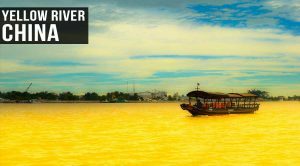 Known as the ‘cradle of civilisation’ of China, is the mighty yellow river, which is the third longest in Asia and the sixth longest in the world. It is also one of the worst when it comes to the 10 most polluted rivers in the world. A United Nations Environmental Program report points to 4.29 billion tons of industrial and sewage waste being dumped into the Yellow River, back in 1996. 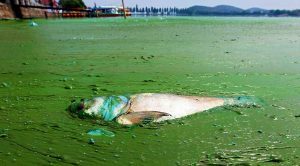 With contaminated water that has killed of 30% of its fishes, the condition of the vast Yellow river, that flows through nine provinces in China before making it to the Bohai sea, seems utterly hopeless. 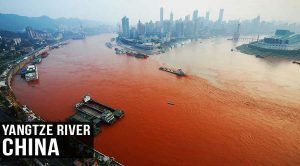 And finally, now that the river water in the city of Lanzhou has turned red, due to excess chemical discharge, the water in the river has been declared ‘unfit for human consumption’! The higher up in rank we go in our list of 10 most polluted rivers in the world, the bigger the river’s get! Indus River, the longest in Pakistan, sustains millions of lives. Or at least, it was supposed to. Every day, hundreds of thousands of people come to the river for purposes ranging from bathing, fishing, trade to performing religious rites. Rampant and careless development has however led to the river being severely polluted by household, agricultural, industrial and sewage waste. Not to forget the horrendous amount of plastic choking it. For one of Asia’s largest rivers, the Indus River certainly makes a fine case study for the different Types Of Water Pollution. Besides the apparent health hazard posed to those who consume the water, another clear indication of the threat posed by the rising pollution are the depleting fish species in the river. In fact, the Indus River Dolphin has already gone extinct, killed off by the severe pollution in this mighty river, that will later flow through India and finally rest, along with all the deadly toxins present in it, in the Arabian Sea. As one would expect, China makes another appearance, in the list of 10 most polluted rivers in the world, with the longest river in Asia, the Yangtze River. The world’s third longest river is also one of the worst when it comes to the highly competitive group of most polluted rivers in the world. A deadly combination of over-population(480 million people live on the river basin! ), a completely pro-consumerist lifestyle, and poor waste management system, has lead to about 333,000 tons of plastic waste being dumped into the East China Sea every year! We wonder if that is not enough to make the world’s sleeping giant, China, to wake up! 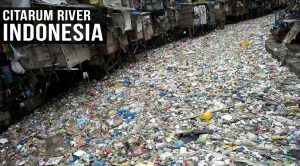 And finally, the one leading the list of 10 most polluted rivers in the world, Indonesia’s Citarum River. Flowing through a basin that is home to millions of people in West Java, the river has been the primary reason for agriculture, industrial development, fishery, water supply and even producing electricity. Years of careless development, however, has brought the river to a dire state. The river is literally overcrowded by the amount of industrial and domestic waste dumped in it. All varieties of pollutants such as plastic items, rubber, glass, metal, paints, chemical etc. have accumulated all over the river. In fact, in many areas, the pollution levels are so high that the river surface is not visible at all under all the garbage engulfing it! As per tests conducted, the mercury present in the river is 100 times over the legal level, while the lead levels are a staggering 1000 times more than the acceptable standards in the United States. 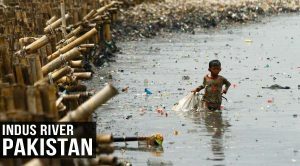 Because of such an unimaginable scale of the environmental catastrophe, many consider the Citarum River to be the most polluted river in the world. It is staggering, the amount of pollution present in just the 10 most polluted rivers in the world. Our source of life, we seem intent to destroy with our own hands. The whole of humanity depends on it, yet, despite the occasional hue and cry by activists and the half-hearted attempts by different governments, our rivers are continuously being destroyed in the name of development. Thankfully, all hope is not lost! There are still proactive nations and people around the world that have managed to strike the right balance between urbanisation and nature. 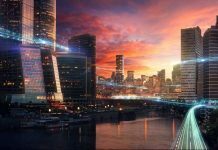 The Top 5 cleanest cities in the world have set a shining example of how to undertake development activities without harming the environment. The cleanest cities in the world prove that public awareness is a significant prerequisite that needs to be followed by strict implementation of environmental regulations. Without first changing your personal lifestyle, you cannot expect the whole world to improve! It’s not really rocket science either. Here are 5 simple tips to reduce plastic waste from your personal life. If you are feeling more proactive and could use some fitness activities, cleanup drives like the Clean The Beach Boot Camp are an excellent opportunity to get started. Remember, it’s a collective mess we have created on this planet, and it will require a collective effort to clean it. Help spread as much awareness as you can by sharing this knowledge with your friends and colleagues, so we may reclaim the clean and healthy environment that was gifted to us and empty the list of 10 most polluted rivers in the world!